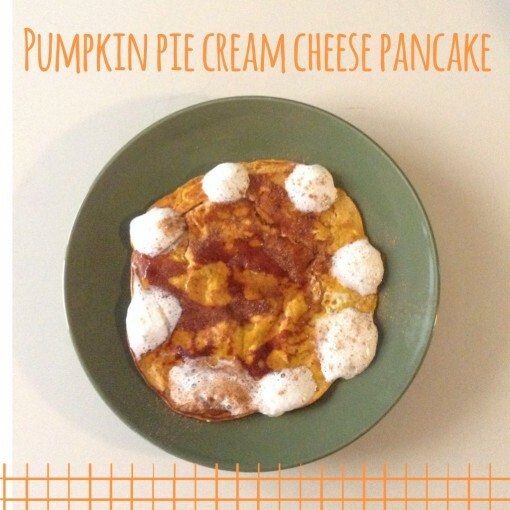 3 Ways to Make Cream Cheese Pancakes (Low Carb) was posted on December 16th, 2013 and is filed under Breakfast, Gluten Free, Low Carb, Protein, Recipes. This entry has 7 comments. You can follow any responses through the RSS 2.0 Comment Feed. 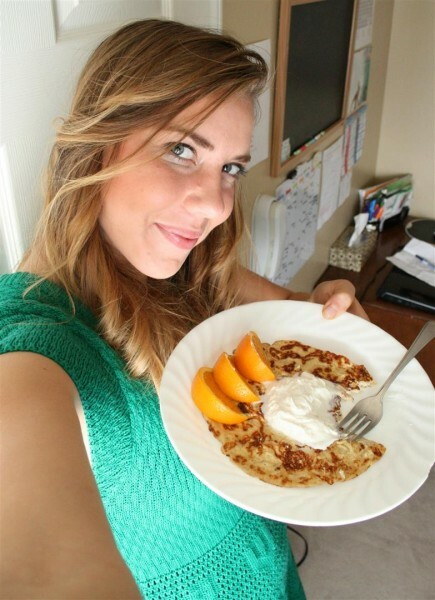 People have kept asking me on Instagram about my low carb cream cheese pancakes, so I finally have the recipes up for you! 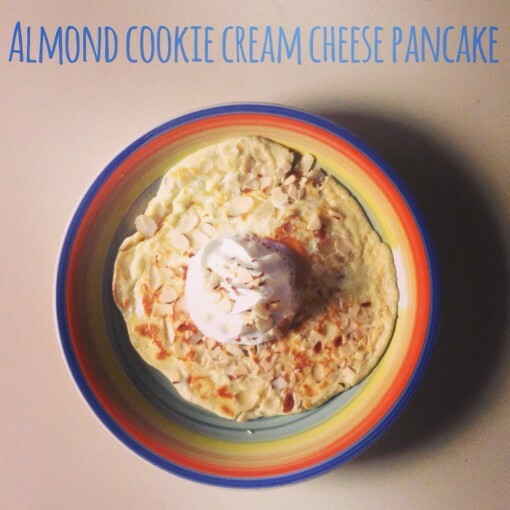 I love my cream cheese pancakes – they are no sugar and very low carb…and high in the yum factor. My original recipe is an amazing base for all sorts of versions. Just add 1/2 tsp. almond extract, 2 tbsp. slivered almonds, and top with sprinkles of Truvia and whipped cream when cooked. Add 2-3 tbsp. pumpkin, 1/3 tsp. pumpkin pie spice, and top with whipped cream after cooked. 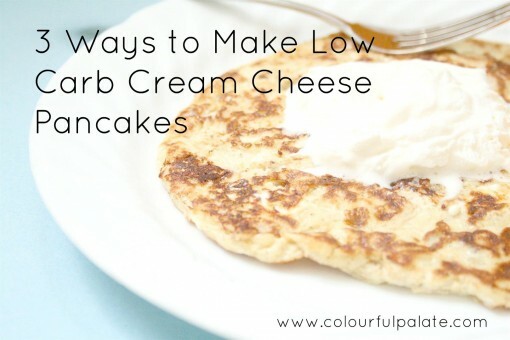 Have you tried the cream cheese pancake yet? Yum! And Merry Christmas! Have a great one! Could I substitute the cream for greek yoghurt or milk? Or would the texture be off? Danielle – I think that would work! Let me know how it goes! I am so grateful for this. All the other blogs and recipes call for putting in the blender. I didn’t want to get out my blender from way up on the tob cabinets so I was relieved that I could beat with a fork. They came out perfect.